Python is popular as a general purpose web programming language whereas R is popular for its great features for data visualization as it was particularly developed for statistical computing. At DeZyre, our career counsellors often get questions from prospective students as to what should they learn first Python programming or R programming. If you are unsure on which programming language to learn first then you are on the right page. Python and R language top the list of basic tools for statistical computing among the set of data scientist skills. Data scientists often debate on the fact that which one is more valuable R programming or Python programming, however both the programming languages have their specialized key features complementing each other. Data science consists of several interrelated but different activities such as computing statistics, building predictive models, accessing and manipulating data, building explanatory models, data visualizations, integrating models into production systems and much more on data. Python programming provides data scientists with a set of libraries that helps them perform all these operations on data. Python is a general purpose multi-paradigm programming language for data science that has gained wide popularity-because of its syntax simplicity and operability on different eco-systems. Python programming can help programmers play with data by allowing them to do anything they need with data - data munging, data wrangling, website scraping, web application building, data engineering and more. Python language makes it easy for programmers to write maintainable, large scale robust code. "Python programming has been an important part of Google since the beginning, and remains so as the system grows and evolves. Today dozens of Google engineers use Python language, and we're looking for more people with skills in this language." – said Peter Norvig, Director at Google. Unlike R language, Python language does not have in-built packages but it has support for libraries like Scikit, Numpy, Pandas, Scipy and Seaborn that data scientists can use to perform useful statistical and machine learningtasks. Python programming is similar to pseudo code and makes sense immediately just like English language. The expressions and characters used in the code can be mathematical, however, the logic can be easily adhered from the code. What makes Python language the King of Data Science Programming Languages? The public package index for Python language popularly known as PyPi has approximately 40K add-ons available listed under 300 different categories. So, if a developer or a data scientist has to do something with Python language then there is high probability that someone already has it and they need not begin from the scratch. Python programming is used extensively for various tasks ranging from CGI and web development, system testing and automation, and ETL to gaming. Developers these days spend lot of time in defining and processing big data. With the increasing amount of data that needs to be processed, it becomes extremely important for programmers to efficiently manage the in-memory usage. Python language has generators both from functions and also as expressions which helps in iterative processing i.e. one item at a time. When there are large number of processes to be applied to a set of data in that case generators in Python language prove to be great advantage as they grab the source data ,one item at a time and then pass through the entire processing chain. The generator based migration tool collective.transmogrifier helps make complex and interdependent updates to the data as it is being processed from the old site and then allows the programmers to create and store objects in constant memory at the new site.The transmogrifier plays vital role in Python programming when dealing with larger data sets. Python language has gained wide popularity as the syntax is clear and readable making it easy to learn under expert guidance. Data scientists can gain expertise knowledge and master programming with Python in scientific computing by taking industry expert oriented Python programming courses. The readability of the syntax makes it easier for other peer programmers update already written Python programs at a faster pace and also helps write new programs quickly. Python programming is used by Mozilla for exploring their broad code base. Mozilla releases several open source packages built using Python. Dropbox, a popular file hosting service founded by Drew Houston as he kept forgetting his USB. The project was started to fulfill his personal needs but it turned out to be so good that even others started using it.Dropbox is completely written in Python language which now has close to 150 million registered users. Walt Disney uses Python language to enhance the supremacy of their creative processes. ii.Mercurial- A popular cross-platform, distributed code revision control tool used by developers. iv.Reddit- Entertainment and Social News website. Python is an interpreted language and thus is many a times slower than the compiled languages. “A possible disadvantage of Python is its slow speed of execution. But many Python packages have been optimized over the years and execute at C speed.”- said Pierre Carbonnelle, a Python programmer who runs the PyPL language index. Python language being a dynamically typed language poses certain design restrictions. It requires rigorous testing because errors show up only during runtime. Python programming has gained popularity on desktop and server platforms but is still weak on mobile computing platforms as there are very less number of mobile apps that are developed using Python language. Python programming can be rarely found on the client side of web applications. Millions of data scientists and statisticians use R programming to get away with challenging problems related to statistical computing and quantitative marketing. 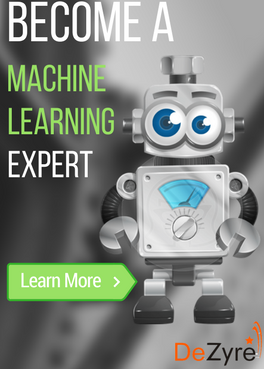 R language has become an essential tool for finance and business analytics-driven organizations like LinkedIn, Twitter, Bank of America, Facebook and Google. R is an open source programming language and environment for statistical computing and graphics available on Linux, Windows and Mac. R language has an innovative package system that allows developers to extend the functionality to new heights by providing cross-platform distribution and testing of data and code. With more than 5K publicly released packages available for download, it is just a great programming language for exploratory data analysis language can easily be integrated with other object oriented programming languages like C, C++ and Java. R language has array-oriented syntax making it easier for programmers to translate math to code, in particular for professionals with minimal programming background. 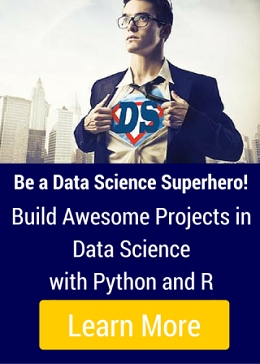 Why use R programming for data science? 1.R language is one of the best tools for data scientists in the world of data visualization. It virtually has everything that a data scientist needs- statistical models, data manipulation and visualization charts. 2.Data scientists can create unique and beautiful data visualizations with R language that go far beyond the out-dated line plots and bar charts. With R programming, data scientists can draw meaningful insights from data in multiple dimensions using 3D surfaces and multi-panel charts. The Economist and The New York Times exploit the custom charting capabilities of R programming to create stunning infographics. 3.One great feature of R programming is its reproducible research-the code and data can be given to an interested third party which can trace it back to reproduce the same results. Thus, data scientists need to write code that will extract the data, analyse it and generate a HTML, PDF or a PPT for reporting. When any other third party is interested, the original author can share the code and data with the third party for reproducing similar results. 4.R language is designed particularly for data analysis with a flexibility to mix and match various statistical and predictive models for best possible outcomes. R programming scripts can further be automated with ease to promote production deployments and reproducible research. 5.R language has rich community of approximately 2 million users and close to 1000’s of developers that draws talents of data scientists spread across the world. The community has packages widespread across actuarial analysis, finance, machine learning, web technologies,pharmaceuticals that can be of great help to predict component failure times, analyse genomic sequences, and optimize portfolios. All these resources created by experts in various domains can be accessed easily for free, online. Ford uses open source tools like R programming and Hadoop for data driven decision support and statistical data analysis. The popular insurance giant Lloyd’s uses R language to create motion charts that provide analysis reports to investors. Google uses R programming to analyse the effectiveness of online advertising campaigns, predict economic activities and measure the ROI of advertising campaigns. Facebook uses R language to analyse the status updates and create the social network graph. Zillow makes use of R programming to promote the housing prices. R programming has a steep learning curve for professionals who do not come from a programming background (professionals hailing from a GUI world like that of MicrosoftExcel). Working with R language can at times be slow if the code is written poorly, however, there are solutions to this like FastR package, pqR and Penjin. 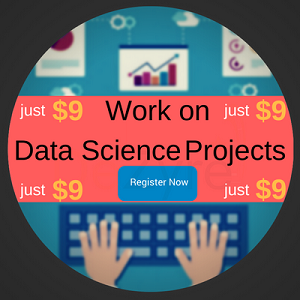 Learn Data Science in R programming to win the hiring war for Data Scientists! Data Science with Python or R Programming- What to learn first? If professionals are aware of the fact on what kind of project they will be working on then they can make a decision on which language to learn first. If the projects requires working with jumbled or scrape data from files, websites or any other sources of data then professionals must first start their learning with Python language. On the other hand, if the project requires working with clean data then professionals must first learn to focus on the data analysis part which requires learning R programming first. It is always better to be on-par with the teams so find out what data science programming language are they using R or Python. Collaboration and learning becomes much easier if you and your team mates are on the same language paradigm. Trends in increasing data scientist jobs will help make a better decision on which what to learn first R language or Python language. 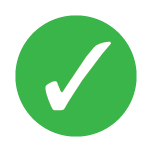 Last but not the least, do consider your personal preferences as to what interests you more and which is easier for you to grasp. Having understood briefly about Python language and R language, the bottom line here is that it is difficult to choose learning any one language first -Python or R to crack data scientist jobs in top big data companies. Each one has its own advantages and disadvantages based on the different scenarios and tasks to be performed. Thus, the best solution is to make a smart move based on the above listed strategies and decide which language you should learn first that will fetch you a job with big data scientist salary and later add onto your skill set by learning the other language.